Be Mine! 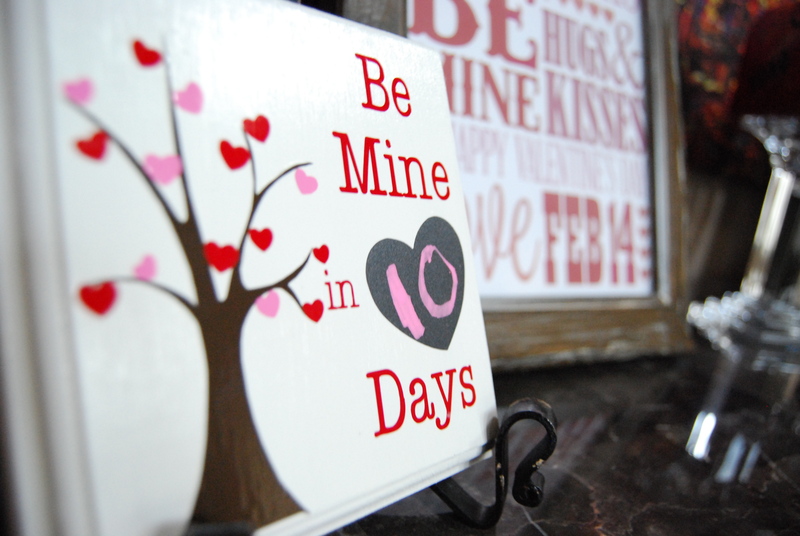 – Valentine Countdown Board – Gotta Make That! Back again with another countdown board! This time a Valentine theme. I used shapes found at the silhouette online store. You can route your wood yourself or grab a pre-routed piece from Michaels. Have fun making any design that suits your fancy. My kiddo loves changing the the days. Remember to stay away from glossy paint or your vinyl will not stick to your board. If you wanted you could Mod-Podge over everything except the chalkboard vinyl heart you write the chalk numbers on, but I skipped the Mod-Podge. I think I may add a bird to a branch and remove a heart as well. Have fun with it! I also painted a 4×4 wood block out of leftover wood with chalkboard paint. I got this idea from seeing it at a local store. 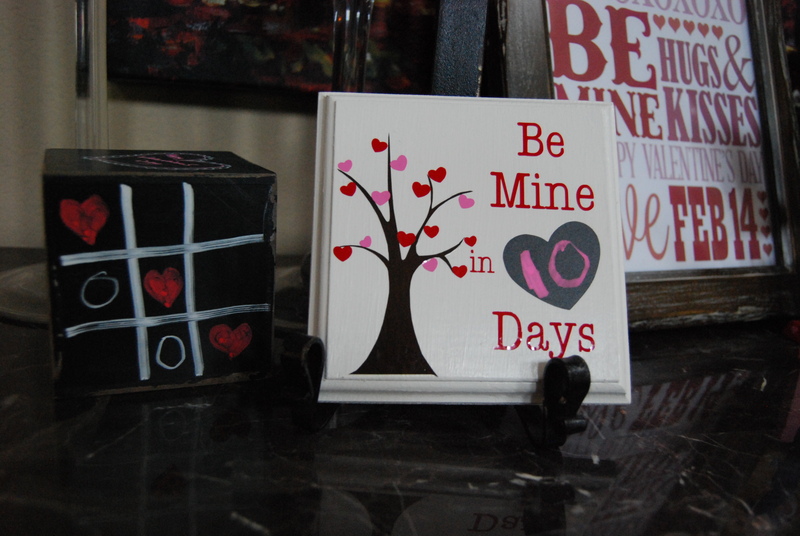 Each holiday I use my colored chalk pens to create different pictures to add to the decor. That is a quick project anyone can do. See you soon! Keep crafting! 4×4 Chalkboard block you can wipe off and change with the seasons!